Jesus speaks of his anticipation to eat two special meals with his disciples. The first is the Passover meal he is sharing with his disciples as he utters these words. This is the beginning of his Passion—his journey to the Cross in obedience with his Father's will. What lies ahead of him is a horrible ordeal involving great suffering, humiliating rejection, and the anguish of abandonment by his friends. However, this meal is Jesus' last with his earthly disciples before his passion—the great suffering he endured in his betrayal, abandonment, arrest, trials, and crucifixion. Jesus wants to use this time to prepare his disciples for all that lies ahead. In addition, Jesus anticipates sharing in another meal with his disciples beyond his death at the fulfillment of the Kingdom. He gives a sense of hope for them to reflect back upon after the worst has come. 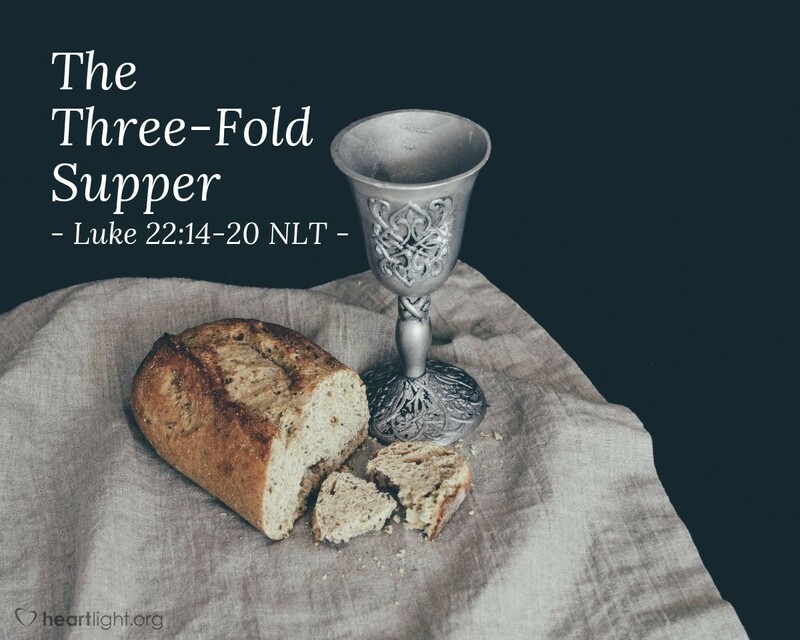 For those of us who live on this side of Jesus' death and resurrection and celebrate the Lord's Supper, Jesus gives us the basis of our three-fold understanding of the Supper for us. We recognize our Savior's agony in offering his body and blood to save us. We celebrate his victory over death as we celebrate the Supper on the day of his resurrection—Sunday, the first day of the week. We anticipate the glory of his return and our sharing in a victory supper with our Savior. O holy and righteous Father, thank you! I praise you for your love in sending your Son to suffer and die so that I could be delivered from my sin. I praise you for the faith Jesus demonstrated as he stared death and suffering in the face. I praise you for the great supper that lies ahead when I get to share in the victory of Jesus' return. Thank you for your love, mercy, and grace. In Jesus' name. Amen.